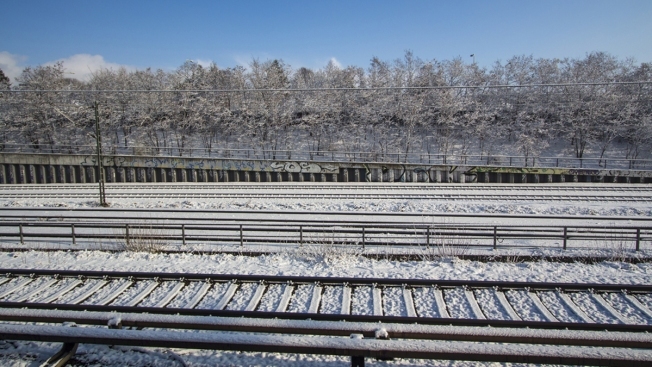 (File photo) Metro announced service changes in advance of Thursday's winter storm. Metro suspended bus service at 9 p.m. Thursday due to hazardous road conditions. Bus trips scheduled to begin before 9 p.m. will continue to the end of the line. Metrobus service is expected resume on a moderate snow plan again at 4 a.m. Friday. Metro announced service changes in advance of Thursday's winter storm, which is dropping several inches of snow on the immediate D.C. area. Metrobuses ran on a moderate snow plan Thursday. Under the plan, buses do not run on hilly terrain, narrow streets and what Metro calls "other problem areas." Under the plan, some routes are suspended; others use detours. Check wmata.com for information specific to your route. Metro says it will restore service when it's safe to do so. Metrobus school trips to D.C. public schools and public charter schools operate unless school is cancelled. MetroAccess service is suspended for the entire day Thursday. WMATA said Wednesday afternoon that the MetroAccess call center was in the process of alerting customers who had existing reservations. All Metrorail stations opened at 5 a.m. as usual with trains running both above and below ground. However, while WMATA said every effort will be made to maintain rail service during the storm, weather-related delays are possible. Riders are encouraged to check wmata.com before heading out, or to sign up for MetroAlerts. They can also keep an eye the @metrorailinfo and @metrobusinfo Twitter accounts or search the hashtag #wmata. WMATA says it has assigned 771 employees to snow response, working 12- to 14-hour shifts.